Ok, so I was supposed to do this back in like…January, but forgot so finally, here we are! Gorgeously Rich Moisturising Shampoo in ‘Scandelous’ by Celebrity hairstylist, James Brown and Kate Moss. 2. Comment on this saying you want to enter. Please include your email address where you can be contacted AND your blog link! 3. 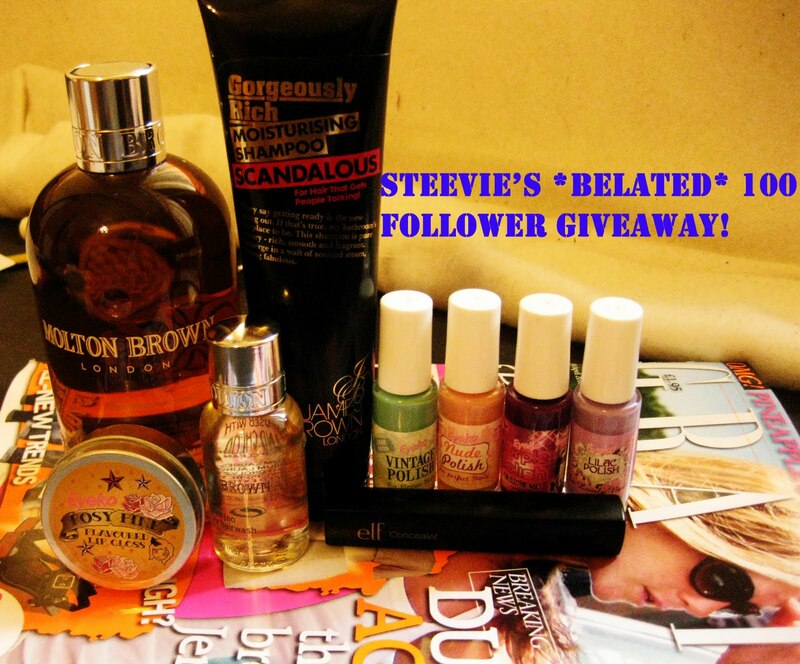 Post up this giveaway on your blog or on the sidebar. The giveaway will end on the 18th of May 2010 at Midnight and is also open internationally. Previous Post Chanel Rouge Coco Lipstick.